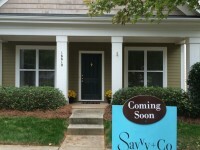 Coming Soon in Monteith Park:One of Huntersville’s hottest neighborhoods with Front Porch Fridays ! 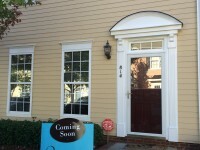 These beautiful homes won’t last long in Monteith Park! 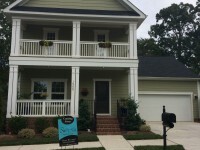 Monteith Park is a charming Charleston style community in the heart of Huntersville, NC with spacious front porches and beautiful landscape throughout the community. Relax on your front porch as you sip some cold lemonade, chat with your neighbors and enjoy your piece of paradise in North Carolina. Dont forget to check outMonteith Parkslovely amenities. You have a scenic walking trail to enjoy all of the lush landscape of the community, play ground, club house that is perfect for holding events, multiple flat commons areas around the community to enjoy walking your dog or playing with the kids.Monteith Parkalso has a junior Olympic size pool with a waterslide and a childrens wading pool. Monteith Parkis convenient to I-77 and I-485 highway access, great schools, downtown Huntersville, Discovery Place Kids Museum,Birkdale Village Shops, Lake Norman and a quick 20 minute commute to Uptown Charlotte!